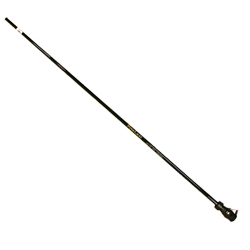 Telescopic two and three piece pole with reel. Line through center. Durable fiberglass construction.